Made By – Sony DADC UK Ltd. 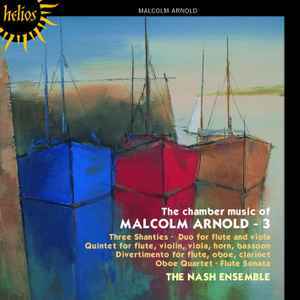 Note: this edition was made in England, as printed on back inlay and face of the cd where as The Chamber Music Of Malcolm Arnold - 3 was made in Germany. Recorded on 14-18 December 1984. Originally issued on Hyperion CDA66173.